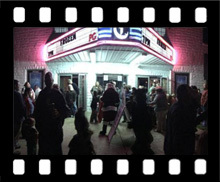 Movie night at the Clayton Theater! Delaware Lodge #37 and Doric Lodge members and families came together to make it a special night. We even had a visit from Santa!